Posted: Friday 12th June 2015 in Events and Awards, News. Summit and Argos were celebrated this week at the Drum Search Awards. We won the best use of technology award for the record-breaking results we achieved last year using our performance marketing platform, Forecaster. We also took home the Chairman’s Award, an accolade given by the Chairman of the judging panel as their personal favourite for the most outstanding award entry. In 2013-14 we enabled Argos to increase their revenue from paid search by 52% year-on-year while maintaining cost of sale, using Forecaster. Forecaster is a predictive analytics tool which enables us to tell retailers and brands exactly how much, where and when to spend their online marketing budget for the greatest return. We are also able to react to external factors that impact on buying behaviour, such as seasonal trends, weather conditions and television advertising. Using this insight we adjust bids and change creatives in real-time to ensure we achieve the greatest possible return for our clients. We faced stiff competition in the best use of technology category and are thrilled to win. It was a huge honour to subsequently be presented with the Chairman’s Award. This is one of a number of awards Summit and Argos have won this year. 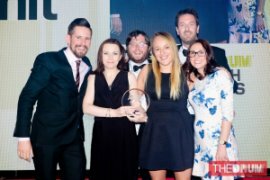 We also had our work with Forecaster acknowledged at the UK Search Awards, the Econsultancy Digitals and the Northern Marketing Awards.